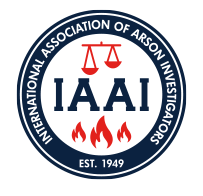 The International Association of Arson Investigators®, Inc. (IAAI®) is an international professional association of more than 9,000 fire investigation professionals, united by a strong commitment to suppress the crime of arson through professional fire investigation. Learn more in the About IAAI section. How do I become an IAAI member? IAAI offers several membership options. Please see the Join IAAI page for more information. What training does IAAI offer? IAAI offers an annual international training conference, local in-person classes, special seminars/events, and online training via CFITrainer.Net®. I forgot my username and password for the IAAI website (firearson.com). What do I do? Firearson.com has a lost password recovery function. In the Member Log In area at the top left of the page, click "Forgot Password?" and follow the instructions. I haven't received Fire & Arson Investigator in a long time. Why? The most common reason is because your membership has expired or been cancelled. Another possibility is that you moved and did not change your address in your IAAI Member Profile. Both of these issues can be taken care of by logging into your Account using the Member Log In at the top left of this page and fixing the issue (renewing membership or changing your address). A third possibility is that mail service can be slow to some areas and countries, therefore delivery of the journal can take an extended period of time. When I go on the IAAI website, it will not allow me to complete an application/change my profile information/make a payment. What do I do? Typically, this is because you are using Safari as a browser. Please try a different web browser. If you continue to have issues, please contact us at 800-468-4224. I need to discuss an IAAI certification or designation I hold. Who do I contact? I need to talk about a class I signed up for, need to know if there are any more openings in a class, or cancel a class I signed up for. What do I do? Please call IAAI at 800-468-4224. I don't remember my username or password for CFITrainer.Net.® What do I do? CFITrainer.Net uses the email address you registered with as the username. If you have lost your password, use the password recovery function by going to CFITrainer.Net and clicking "Lost Password?" in the Member Sign In area.